Welcome to this beautifully maintained home rich with updates, in Orange Blossom Gardens in The Villages. Furniture included with sale of home except for a select few items. Greeted by a extra wide drive and manicured landscape situated on a large lot. Laminate flooring through out the main living area and bedrooms. The spacious and airy kitchen boasts tile flooring and a glass tile backsplash with coordinating countertops. The updated bath features a walk-in tiled shower and laminate flooring. New windows in 2016 and roof 2017. Just minutes from shopping, restaurants and the entertainment of Spanish Springs. 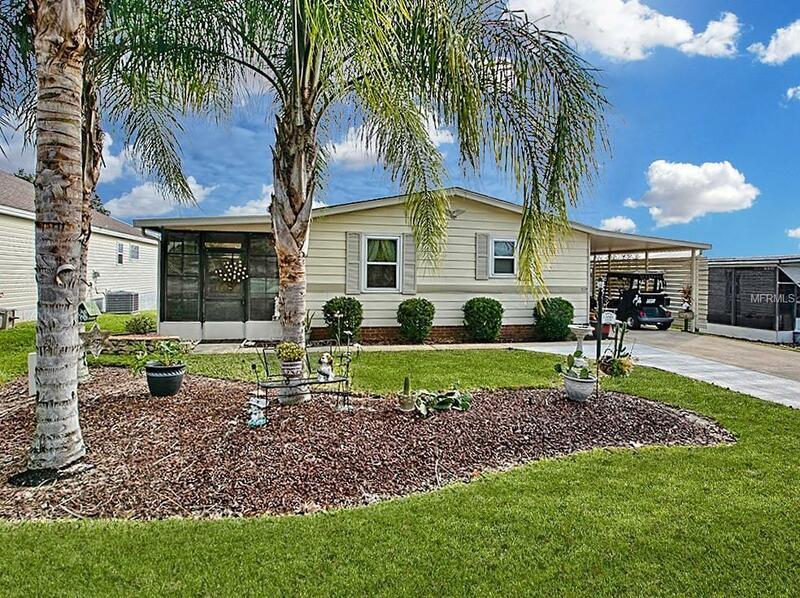 This lovely home is perfect to start living The Villages lifestyle!